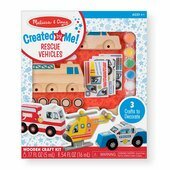 Kids can race to save the day with this exciting set of three rescue vehicles--featuring wheels and propellers that really spin! 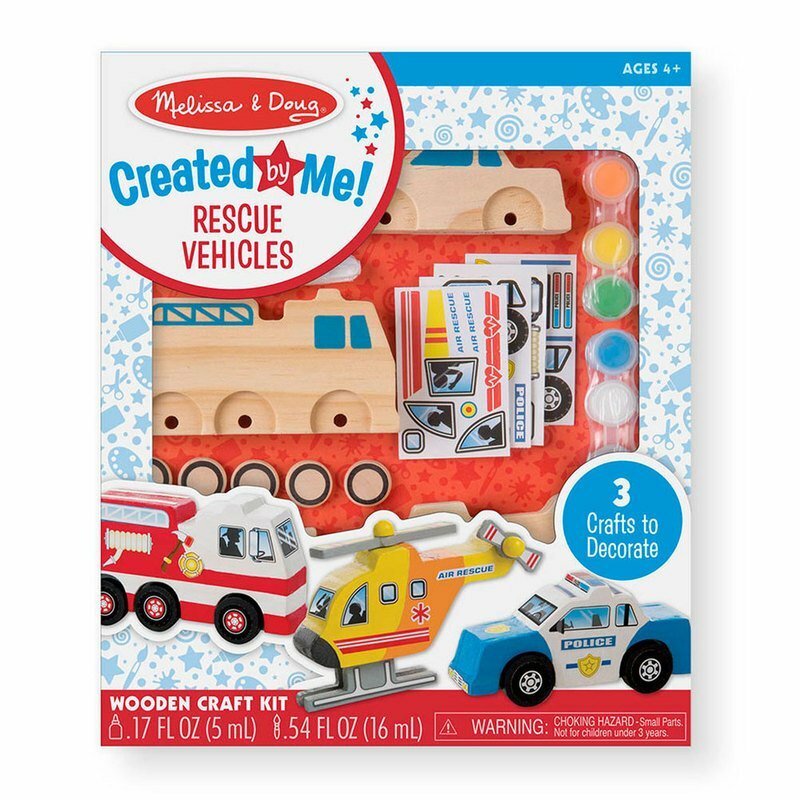 Includes easy-to-assemble wooden police car, fire truck, and helicopter, wheels, axles, propellers, and stands, plus 8 pots of paint, 3 paintbrushes, glue, and plenty of themed stickers to complete the looks. Kids can decorate and display them all or make them with friends--an ideal party activity or favor! 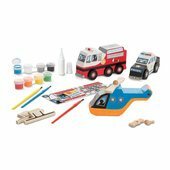 Craft kit and wooden toys in one!